ON SALE $24 SALE ENDS SOON! 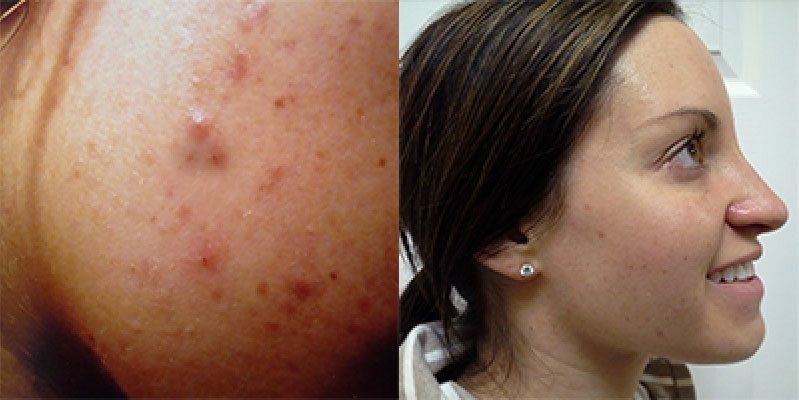 Custom Clear Acne Products offers totally custom treatments and custom blended products for your skin. Our certified medical esthetician is focused on acne treatments and acne scars and is 100% committed to getting you the clear skin that you deserve. If you live in the Buffalo, New York area, we recommend you come in to be evaluated in person. Our entire line of acne treatments is also available for sale on-line for those of you in other parts of the country. At the Aesthetic Facial Centre acne treatment clinic, you will experience acne care on a personalized level, not typically seen at the doctor’s office or medi-spas. We will take the time to work with you one on one to create an acne treatment plan that is right for your skin type, lifestyle and budget. We have evening and weekend appointments. Our state of the art acne treatment centers boast state of the art technology and the most effective acne fighting treatments and procedures. We will clear you up in a short period of time and teach you how to keep your self clear. At our acne treatment centre, you will receive guidance on diet, lifestyle choices, and step-by-step information about at-home acne care. "Custom Clear has made me feel more confident with my skin. After each treatment, I leave feeling fresh and clean. Having healthy and vibrant skin is something everyone wishes to have. I can proudly say that I am so happy with how my skin looks and feels after using this product." "I tried several products with no positive results. Carol's worked perfectly and lead to me continuously coming back." 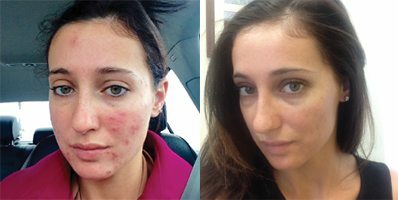 "I was skeptical about trying any new acne products or services because nothing has worked for me in the past. Sometimes I would see minor results with other products, then plateau, or get worse. 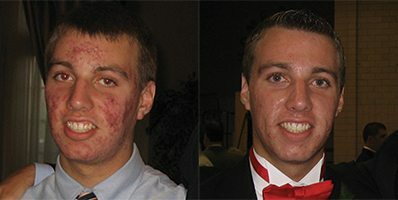 No product had permanent results and I was becoming increasingly self-conscious about my face. Then, I met Carol and followed the methods and routines she recommended. 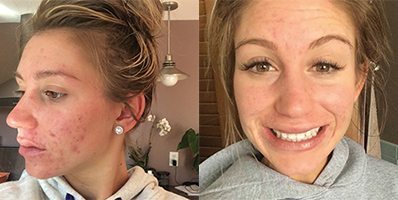 Not only did I see results within a few weeks, it is now 9 months later and my skin is still clear! The cleanser actually makes your face feel clean and the exfoliation reveals new skin. My face feels light and clean all the time. The toner helps moisturize without feeling like you have a film on your face. The acne medication itself really spot treats immediately and moves the healing process along much more quickly than any acne product I have ever used. I am so thankful I went to Carol when I did, not only did she give me beautiful skin, but she gave me back my self-confidence and allowed me to feel at peace with my appearance." "I was recommended to the Aesthetic Facial Centre, I tried it [Custom Clear] out and after the first appointment, I saw immediate results. I was so happy knowing that something has finally worked after using many different treatments. I have been here about a month and couldn't be happier. 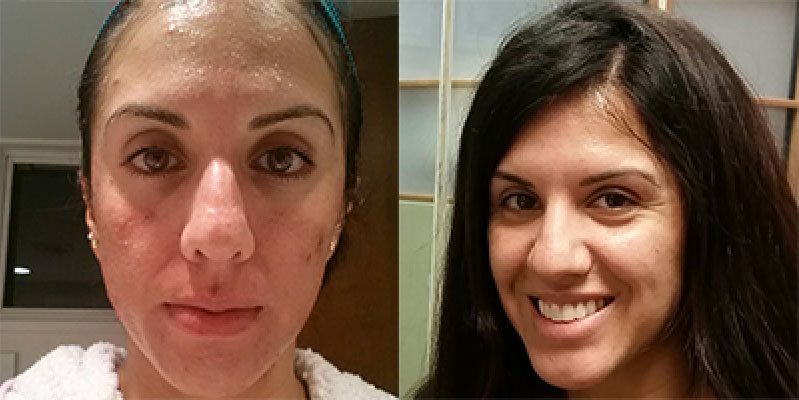 I feel more confident about my skin and would highly recommend this process to anyone." "Carol has worked wonders in order to clear my skin up. My parents as well as myself are very pleased. We would not change a thing. My face looks beautiful thanks to Carol. My face would not look this way without her. There are simply not enough words to express our gratitude for everything Carol has done to help me." Sign up for Custom Clear’s blog and get expert advice, skin care tips, product highlights, and get 10% off your first order!